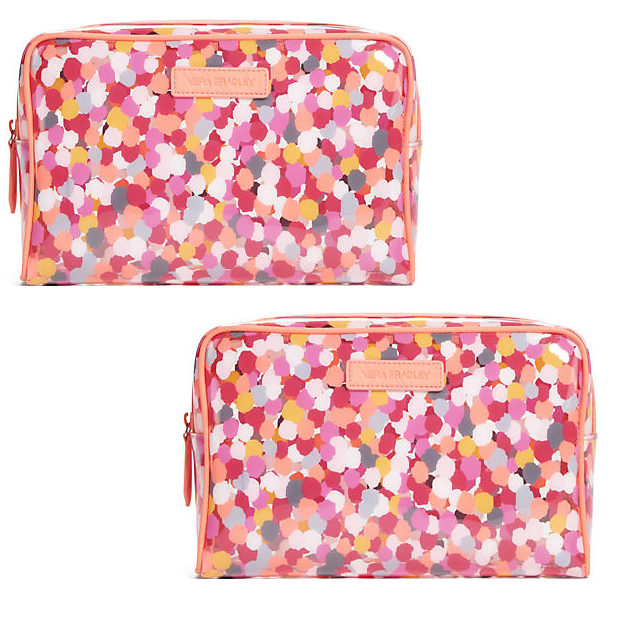 Pixie Confetti Cosmetic Bag Only $16.80 Plus FREE Shipping! You are here: Home / Great Deals / Pixie Confetti Cosmetic Bag Only $16.80 Plus FREE Shipping! Get this deceptively patterned, yet clear cosmetic bag for your summer adventures! The large, clear Pixie Confetti Cosmetic bag is only $16.80 Plus FREE Shipping! Vera Bradley is having a 4th of July Sale with items up to 50% Off and FREE shipping on all online orders! Lots of fun items to choose from!